One of the benefits to growing up in small towns in the midwest is that you don’t have to drive very far to get away from it all. When I was stressed out, I used to just pick a direction and a new CD and drive until the album was done (gas was a bit cheaper, then, too). I’d come back feeling like a new person and ready to focus on whatever was in front of me. Every time Mad Max frustrated me or even made me bored, I could just get in the car and drive… and rip the doors off of other cars to throw the driver out into the wasteland so that he lands just in time to see his ride blow up in a magnificent fiery bloom. 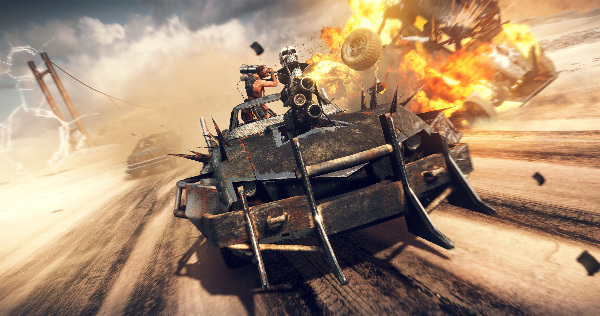 Mad Max has the mindless escapism that has kept me coming back to video games for decades. At its best its as fun as anything I’ve ever played. I’d say the good times are worth remembering, except all I care about when I play Mad Max is making the next one more satisfying. Thanks for a few moments of peace, Mad Max.